The management of Federal University of Oye Ekiti has released the update below regards the screening exercise. All applicants should take note. 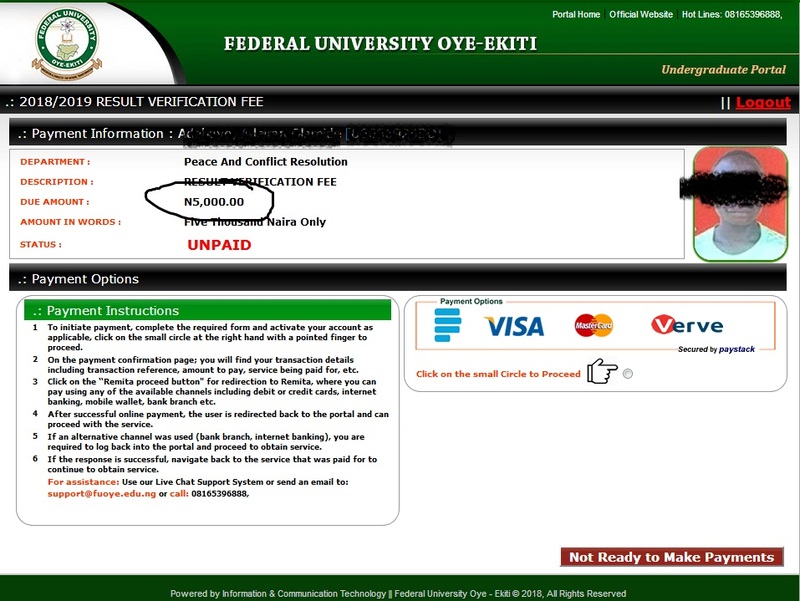 The school has just removed the option to make payment for O'level verification. This could mean they wanted to discontinue the verification exercise or payment so to say. Wait for my update if anything changes sooner. Also, sooner all applicants will be able to print their screening results that will display their aggregate score. 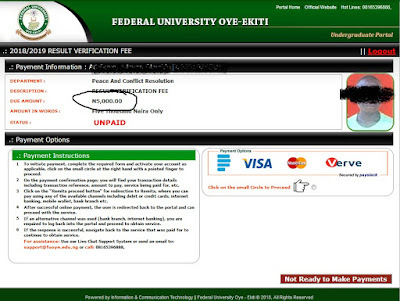 it's based on this final result that candidates will be given admission. Note that, final aggregate result slip must be printed in colour. All DE applicants should be on look out and get the following documents ready for their screening too.